When it comes to a home setup for streaming, recording for a presentation or just talking with friends online, sound quality is important. For gamers like myself, getting a set of headphones with a decent mic can be difficult. Often times it seems that we have to sacrifice either the quality of the mic or the headphones unless you're willing/able to drop over $200 on a high end set. Most people I know have a nice pair of headphones that they wish had a microphone. With the ModMic 5.0 from Antlion audio, any pair of headphones can become your all in one headset. 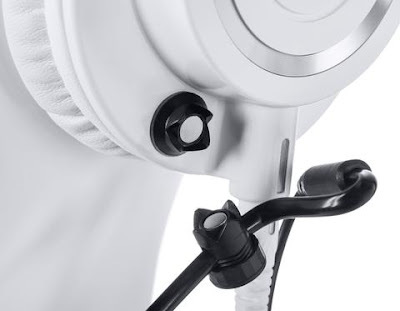 The ModMic 5.0 is the latest microphone from Antlion Audio. Essentially it's a boom mic that can be attached (via some 3M adhesive and a magnetic clip) to any pair of headphones you own. It comes with a number of accessories to create the perfect setup and has a number of really attractive features to boot. Based on what I read from other reviews and user comments, the 5.0 is a refinement of the design of the 4.0. As this is my first ModMic, I can't really speak to the difference between the 5.0 and the 4.0. What you'll see here is more a review of the performance, abilities and quality of the 5.0. The first thing I noticed when I opened up the case was just how many things the ModMic comes with. 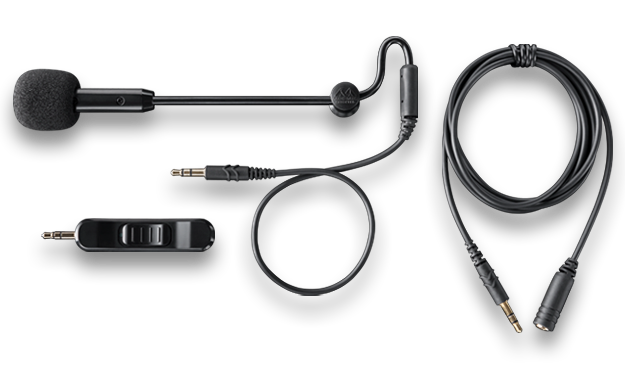 It includes an in-line mute switch module, a 1 and 2 meter 2.5mm cable, a y switch to consolidate the headphones and mic cables, 2 meters of cable wrap, a number of cable clips, a spare magnetic connector, a nice carrying case and some spare 3M adhesive. It all comes together to offer a great deal of versatility at a very reasonable price. For gaming, I really recommend using the in line mute switch. It is large enough that it's easy to reach for quickly to turn on or off and the switch moves very smoothly. I haven't removed it from the setup since I got the mic, but it is nice to have the option of removing it if I'm in a situation that doesn't call for it. I imagine though that most people will tinker with the modules only until they find a setup that really works for them. The cable clips are a nice addition and really help keep everything together, but the wrap that I received came apart pretty easily and was a bit difficult to get on the cables when trying to keep them together. The boom arm on the ModMic 5.0 is bendable, but it is also very stiff. At first I was unsure if it was movable at all until I cautiously bent it back. Being as stiff as it is means that it sometimes requires both hands to adjust, but once you have it where you want it, it shouldn't ever move again. The magnet on the connector is also very strong, completely eliminating any worry I may have had about it falling off. I probably futzed with the cables for an hour, trying out every combination I could think of before I actually tested the mic. I was expecting decent sound, but the ModMic really blew me away with the quality of the recording. I got clear, crisp sound from the moment I switched it on until I stopped recording ten minutes later. The only dips in quality were a few pops on consonants like "p" or "t" but I that was only when the mic was right in front of my mouth, a place that really no one should ever put the mic. There is a switch near the end of the microphone that allows you to switch between an omnidirectional and unidirectional setting. The omnidirectional capsule is fairly sensitive and picks up background noise even if it is somewhat quiet. the unidirectional capsule is great for live streaming or video calls as the noise cancellation almost entirely removes the sound of typing from my mechanical keyboard or noise from my kids should they happen to be in the room while I'm recording. 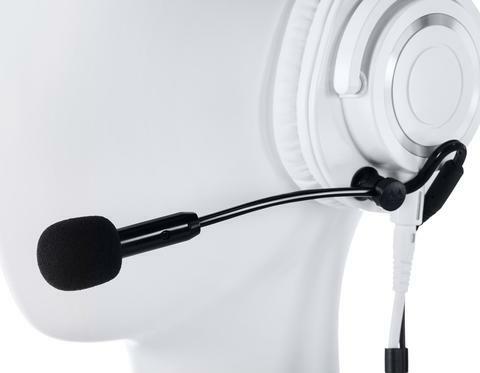 The ModMic 5.0 is available for $70 from Antlion Audio's website. It's a great price, especially considering all the options you get with it. The audio quality is excellent, much higher than that from similarly priced headsets. The only people that I wouldn't recommend this to are those already using high end headsets. For everyone else, no matter your use for it, I highly recommend the ModMic 5.0.